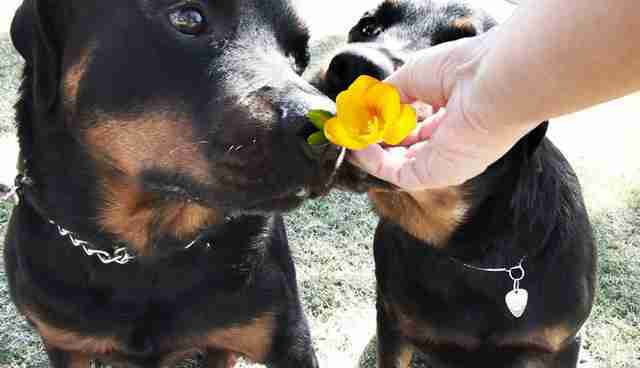 When Shelly Froehlich found out that her beloved Rottweiler Revo had lung cancer, she knew she had to make the most of the time they had left together. So Shelly and her daughter came up with a bucket list for 6-year-old Revo. It includes having breakfast in bed with mom and dad, seeing the snow, going to the beach ... and getting married. 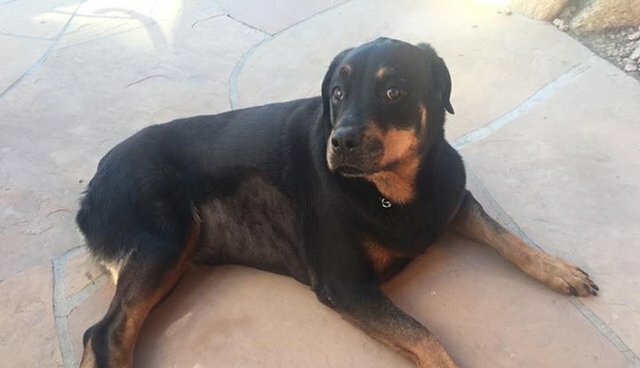 Shelly, who runs Rotten Rottie Rescue in Gilbert, Arizona, announced Revo's engagement on the organization's Facebook page. "Why would she want to get married? well the girl loves dressing up and strutting her stuff, she loves attention and being the center of it, she loves people and having company come to her house, and she loves cake and ice cream, and she loves boys," Shelly wrote in the announcement. "She loves to dance and flirt with them so why not give her a special day?" 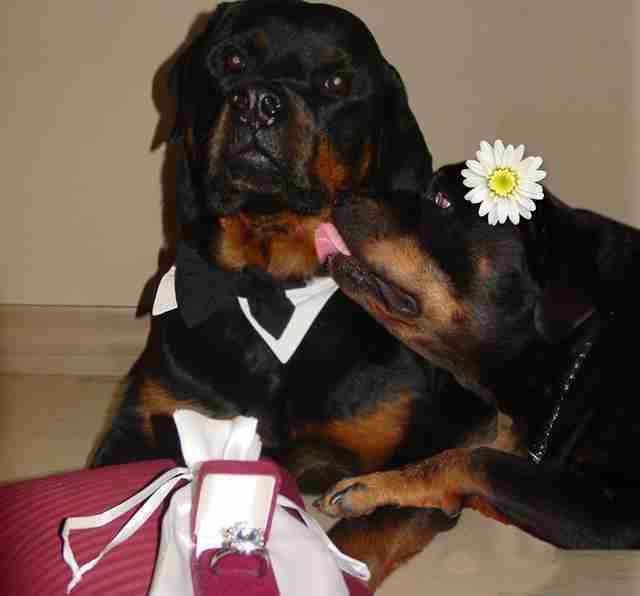 What better way to celebrate love and life than by bringing all of Revo's friends and family together for a doggie wedding? Revo's bucket list is a reminder to savor life. "Today my baby girl is feeling good. I am not sure how many more days she will have feeling like this," Shelly wrote.